Matching the rest of the Atholl wedding stationery range, an essential item for your wedding day is the Order of Service. This is needed during a church service to provide your guests with the order of the ceremony, the words for your hymns, any responses required from the congregation, and any other acknowledgements that you wish to make, such as an acknowledgement to the vicar, organist etc. We are happy to advise you on the content required, although often the vicar or priest will also wish to check the proof before the final go-ahead is given. 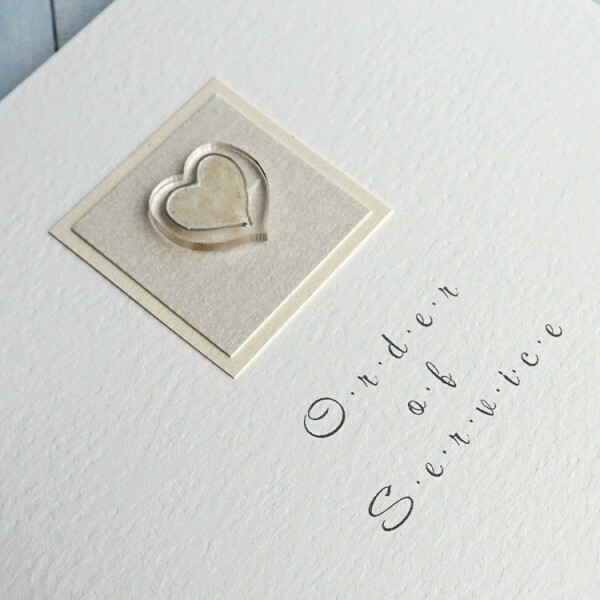 Usually, the order of service consists of 1-2 pages of personalised inserts, made into an A5 booklet. If you are undertaking a Civil Partnership or Civil Ceremony an Order of the Day is equally important so that you guests are aware of the timings of the service, speeches, meals etc. 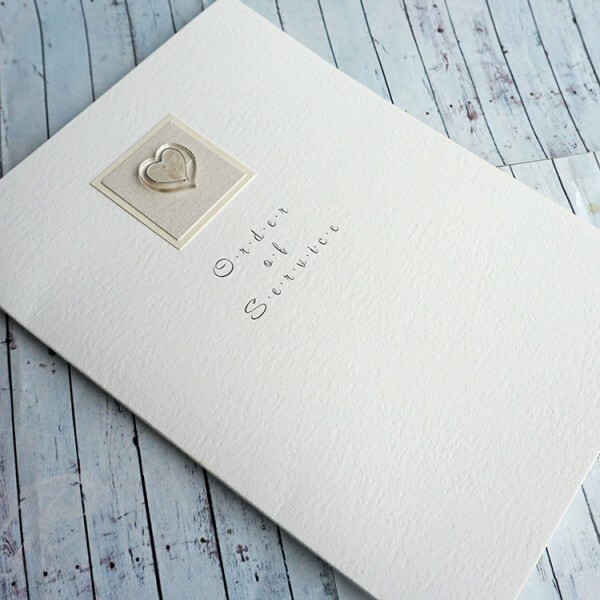 These can be made into a classic booklet or simply printed onto a flat card and mounted on your choice of board to match your wedding invitations.